Even though youʼve stated your intention to maximize the value of Nintendo IP, itʼs still impressive to see that titles using existing IP can exceed sales of 10 million units. But your titles that have offered new kinds of play have not yet demonstrated explosive growth in sales nor have they taken the world by storm like some of your past offerings. Do you think the variety of consumer preferences is a factor in this? Considering the possible reasons and how the environment has changed compared to how it was before, Iʼm wondering if you feel the need to alter Nintendoʼs development concept in response. 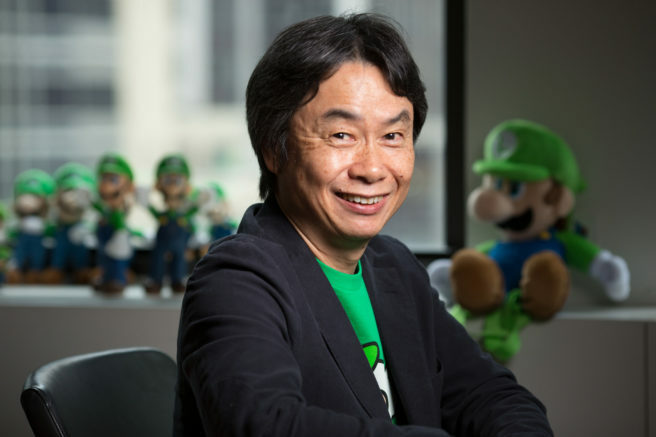 Also, have there been any changes with regards to the younger developers to whom Mr. Miyamoto is delegating responsibilities? I can imagine there are some aspects that should change and some that should not, and Iʼd like to hear your current take on the matter. Takahashi: It is really gratifying to see so many consumers enjoying new games that make use of the Nintendo IP we have developed to this point. Some may say that those titles are just reusing our old IP, but I donʼt see us creating the same things over again, given that the actual content of these games is different. It is true that consumer preferences are becoming more varied, but when we make games, the most important points are how we will make each game enjoyable for consumers and how we will create sources of fun, and I see no reason to change that. That said, games are being made differently now in comparison with the past ways of game development before the Internet and some other aspects of the current era, and we are constantly aware of those changes and thinking about how to incorporate them. So I think it is best that we keep thinking of ways to mix the old with the new, to incorporate new ways of thinking and to bring forward any old ways of thinking that are still valid appropriately. Miyamoto: The reason Iʼm delegating responsibilities to the younger generation is not because I feel that I cannot keep up with the sensibilities of young people. And I donʼt think Nintendo developers are hung up on the classics and unable to develop anything new. You do not have to worry because we are capable to respond to the variety of preferences in todayʼs world. In baseball, if you want to hit a home run, you need to take a decisive swing to send the ball into the stands. Likewise, we take on the creation of bold new games without fear of failure. And because Nintendo has the strength for backing to do so, we can aim to hit home runs rather than trying squeeze bunt. To me, thatʼs the entertainment business. In comparison with the era of “expanding the gaming population,” the current situation seems like a dream situation to us because the number of consumers with access to games has expanded to a large degree. And now they have a better understanding of digital media, so a really good idea can lead to a huge business in the blink of an eye. One of the things that make Nintendo so appealing in this kind of environment is our characters widely known beyond generations, like Super Mario, who will be turning 35 next year. By Super Mario Party, which has sold in greater numbers than we expected across several demographics, I realized that consumers come back at any time if we leverage these characters and create fun products. Placing value in areas like that is the essence of our IP strategy. Itʼs not about clinging on to series titles, so please look forward to our offerings in the future.